St. Cecile Lodge #568 is under the jurisdisction of the Grand Lodge of Free & Accepted Masons of the State of New York in the 4th Manhattan District. Our stated communications are held on the 1st Tuesday of every month, excluding the months of July & August. We have a magnificent Masonic Hall as our home and headquarters at 71 West 23rd Street & 6th Avenue. We are located on the 12th floor in the Empire Room. Lodge opens at 1:00 PM. Dress code is business suits. Visiting brethren are always welcome. 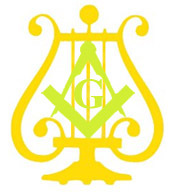 For Grand Lodge's location on Google Maps click here.